DUBAI: Living in Dubai is a hassle-free experience. When you eat, drink or buy something from the market, you seldom worry about two things: quality and quantity. 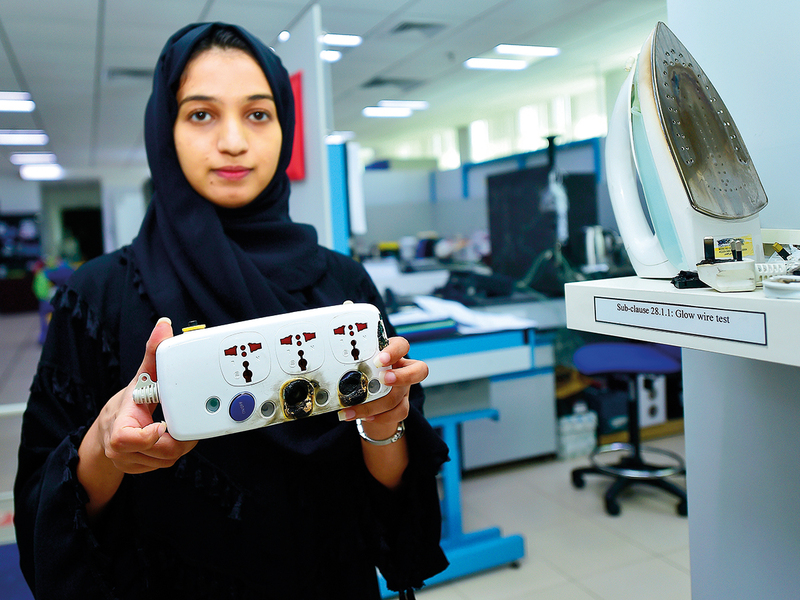 Chances are you would take this sense of reassurance for granted, little realising that there is a round-the-clock effort that goes on behind the scenes — at the all-encompassing Dubai Central Laboratory (DCL) — to make this possible. Functioning under the umbrella of Dubai Municipality, the DCL complex in Karama is a maze of nine massive buildings and seven sections whose long corridors open into a myriad laboratories, each with a distinct function that directly affects your daily life. DCL is part of the vital services provided by various government departments and public and private institutions in the country. “Dubai is a modern city that is racing ahead of time with its rapid growth and development and the Municipality is part of an integrated system of this development. “Dubai Municipality spares no efforts in implementing service projects that project an advanced Dubai in all spheres of its work. We always ensure that we create a comprehensive infrastructure that can compete with the world’s most prestigious cities, through the vision of His Highness Shaikh Mohammad Bin Rashid Al Maktoum, Vice-President and Prime Minister of the UAE and Ruler of Dubai, to make Dubai a modern city that provides the essence of success, by combining all efforts and providing ways to offer integrated services to the citizens and residents,” he said. “DCL is part of the vital services provided by various government departments and public and private institutions in the country,” said Al Hajri. He praised the services provided by DCL, which has become a reference authority for many official bodies in the public and private sectors inside and outside the country. “The cadre of DCL encompasses many specialised technical competencies with extensive experience and high qualifications in the field of testing and assessment of construction materials in line with the strategic guidelines and directives related to the application of the best international standards and practices in preserving the environment as well as public health and safety,” added Al Hajri. DCL is a pride of Dubai as its DCL mark is widely recognised regionally and internationally. “The Health, Safety and Environment Sector works closely with other concerned local and federal authorities to ensure the health and safety of the public through protecting the environment, ensuring public and occupational safety, ensuring food and consumer products safety, pest control and providing veterinary services to the public,” he said. “DCL, being the main provider of testing services to all of the sector departments, plays an integral part in achieving the strategic goals of Dubai Municipality with regards to health, safety and environment,” Al Awadi said. According to Al Awadi, DCL is a pride of Dubai as its DCL mark is widely recognised regionally and internationally. DCL provides the technical expertise and resources to analyse and test a highly diverse number of products that affect the day-to-day lives of everyone. DCL’s services are not confined just to the UAE. It caters to clients from more than 35 countries worldwide. Gulf News was recently given an exclusive tour of the expansive DCL complex. The visit opened up a whole new universe. 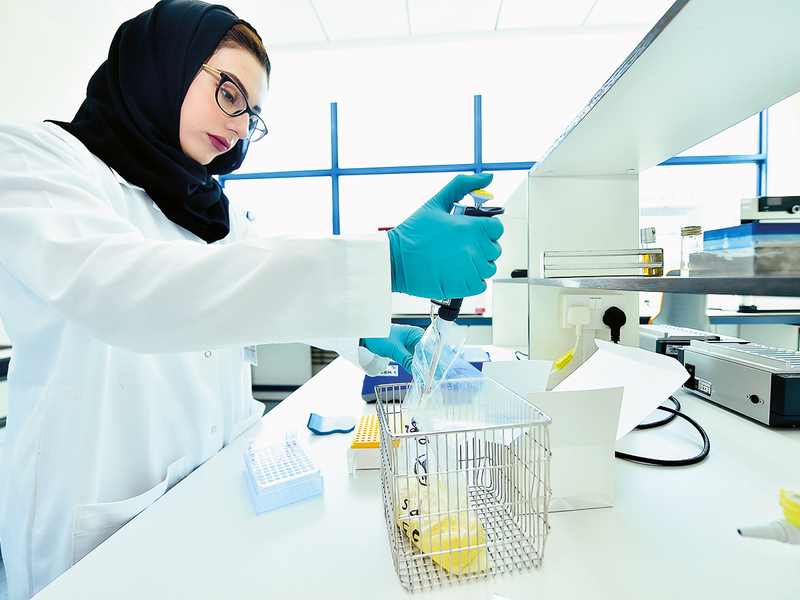 We look at the main units, their labs within labs, what exactly they do and how they impact the daily lives of millions of people in the UAE and beyond. Food & Environmental Lab Section: At first glance, the Food Lab may appear like a big kitchen with fruits and vegetables placed on the counters, and innumerable packets of everything from rice, oil and flour to chips, chocolates and cereal placed in an adjoining room. The proof of the pudding as it happens here is not in the eating. It’s all in the testing. The food chemical analysis and microbiology units leave nothing to chance when it comes to foods, both imported and locally manufactured. The lab is equipped with a range of equipment including an ultra-high performance chromatograph, inductively coupled plasma-mass spectrometer, milkoscan, high resolution germanium detector gamma ray spectrometer. But the fancy names don’t matter. The point, as Fatma Saeed, head of the Food Chemistry Analysis Lab, explained, is that every item that comes in is assessed on a variety of parameters: from the moisture, fat, protein, carb, crude fibre content to food additives such as colour, caffeine, preservatives and sweeteners to residues of alcohol, veterinary drugs and antibiotics. Construction products that bear the DCL Conformity Mark can be sold and used on construction sites without the need for further testing. DCL’s services are not confined just to the UAE. It caters to clients from more than 35 countries. The unit receives, among other things, all mineral, bottled and unbottled water available in the market, which are then subjected to a battery of tests that look into the ph levels, dissolved solid, fluoride, chloride, sulphate, bromate and other chemical and microbiological content. Toxic materials are analysed in a separate lab. Consumer Products & Commodities Lab: The Chemistry Lab under this unit is where all your creams, shampoos, perfumes and other beauty products, besides toys, detergents and disinfectants, even textiles, are tested. 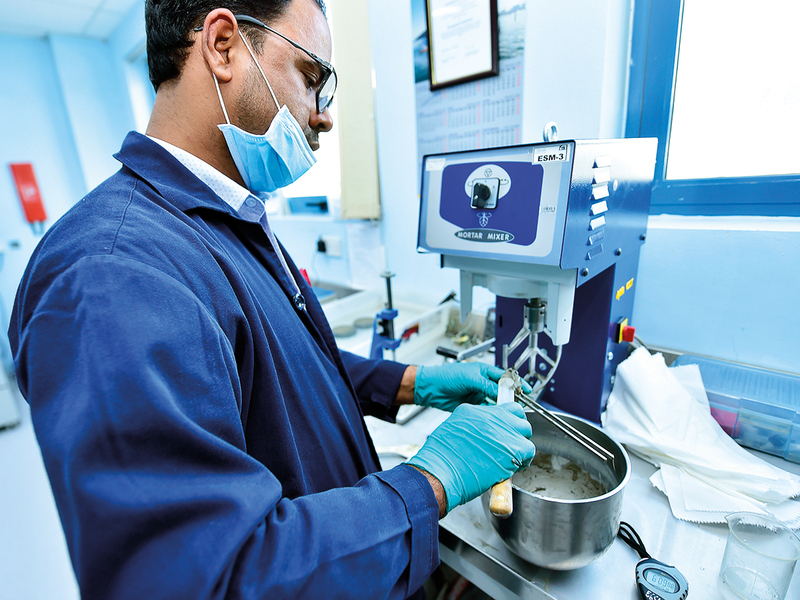 As section head Abdulla Mohammad Al Marzouqi said, different products call for different tests. In the toy lab, for instance, ride-on toys are checked for their dynamics and stability, their impact and the weight they can withstand. Toy guns must fare well on kinetic energy. Soft toys, on the other hand, must pass for the strength of their seams so toddlers can’t pull out stuffed material and put it in their mouths. Flammability is an essential test for all toys. Cosmetics and other such products are mainly examined for harmful substances. For example, 26 allergens can be found in perfumes, so manufacturers have to specify the exact content and amount which is verified; a microbiology lab checks products for bacterial and pathogenic content on parameters like sensitivity to skin. It’s the same case with baby pampers. In addition, textiles are cleared for colour fastness, shrinkage, acidic and basic content etc. The Gemstone and Precious Metals Lab is equipped with highly advanced technology to determine the genuineness of gemstones and precious metals. For example, an X-radiography is used to differentiate natural from cultured pearls, and seawater from freshwater pearls. Similarly, trace elements are analysed with an x-ray fluorescent spectrometer and the authenticity of colour with a UV-Vis-NIR spectrophotometer. The lab can examine pearls as single pieces, in strands and mounted in jewellery and issue reports accordingly (see box on how to tell a natural pearl). Precious metals like gold, silver and platinum have a series of dedicated tests which check for purity (fire assay) and other properties. DCL inspectors, who make random visits to gold and diamond jewellery shops periodically, bring back samples to the lab to examine them. They also visit exhibitions to assess samples. A deep UV fluorescence test can immediately tell if a diamond is natural or synthetic with thousands of pieces being covered in 10 minutes. As technicians explained, if the phosphorescence of a diamond persists beyond a stipulated period of time in seconds even after shutting down the UV, it is deemed synthetic. The stones are also examined for the 4Cs — (carat, colour, clarity and cut), chemical vapour and other properties. Metrology Section: This section takes the weight off your mind with regard to any concerns about whether you are getting the correct weight or volume for what you buy. From gold to petrol to a bag of potatoes, you can be sure every weighing machine is calibrated for correctness. A range of ordinary weights, precision weights, electronic balances, digital thermometers, sensors, hydrometers and the like meet the eyes. Section head Farid Mohammad said, “Precision matters a lot. Even a milligram of difference, say, in a medicine’s dosage can have serious consequences.” Similarly, there can be no room for error in weighing machines used by gold and jewellery shops, supermarkets, airport check-ins or fuel dispensers used by petrol pumps, or even meters installed in taxis, all of which are tested for their accuracy by the Metrology Lab. “Look out for our green sticker when you are in any of these situations, so you will know if it has been approved by us,” said Mohammad. The lab, which does both legal and industrial metrology, has the most advanced robotic mass comparators, which can handle weights from 1mm to 20kg, to eliminate the possibility of human error. Engineering Materials Lab: This giant lab houses 15 labs that test everything related to the infrastructure around us, be it the cement and reinforcement steel used in the buildings we live in or the asphalt in the roads we drive on. Even the pavements we use are checked for their performance. Besides a dedicated lab to test green building materials, a new 3D printing lab was set up last year in keeping with Dubai’s mandate to set up 25 3D buildings by 2030. Product Conformity Assessment Section: This section awards products and services the much-required DCL stamp, which means it conforms to the required, even mandated, standards. The products could be anything from steel bars, concrete block and paints to solar water heating systems and other electrical appliances. This service also issues GJTP certificates under the Bareeq scheme which means a gold and jewellery shop complies with ‘Good Jewellery Trading Practice’. Factories and other laboratories too apply to the DCL to obtain its standards. Renewable Energy and Electromechanical Appliances Section: From air-conditioners, refrigerators and mixers to extension cords, plugs and fuses, all things electro-mechanical are tested here so you can be rest assured. Lab head Budoor A said, “We go by 102 standards recognised by IEC for all the home appliances and tools that we assess — each product has its own standard. The lab is equipped to test electromechanical appliances for safety and energy efficiency, conduct material and constructions testing and take up legal case studies. Abdul Rahman Al Ali of the Renewable Energy Lab gave a lowdown on how PV (Photo Voltaic) panels are checked for their safety and performance. 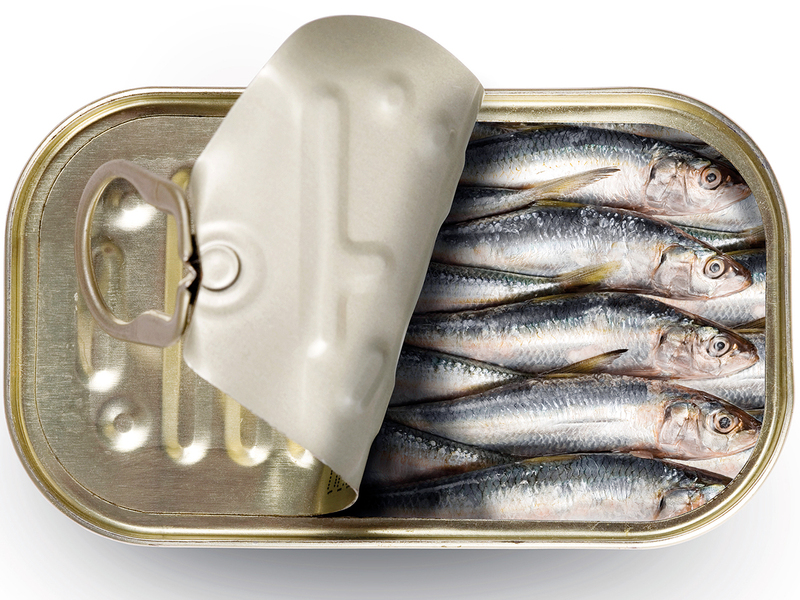 Patulin in apples and berries; migration of plastics into food simulants; tin in canned foods, hydroxy methyl furfural in honey, microbiological shelf life of any food; hazardous weight loss substances in slimming formulations; volatile organic compounds, tritium in drinking water; pork gelatin in gelatinous foods; inorganic arsenic in rice. 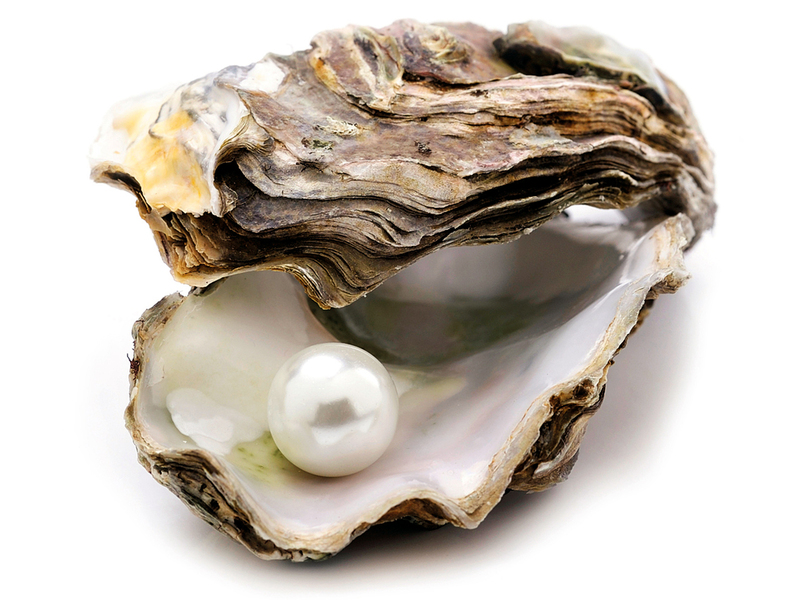 Natural pearls are accidental formations secreted in the interior of mollusks without human intervention or assistance. They are composed of a complex scleroprotein named conchiolin and calcium carbonate in the form of aragonite and or calcite arranged in concentric layers. Imitation pearls don’t possess either this chemical composition or physical properties. How you can get a product tested at DCL? You can take the sample to the laboratory at Karama and request for a test or certification report against a fee. The charges vary from product to product.